Detroit might be called the Motor City, but the number of vehicles built there can be counted on one hand. That number could change in the future as The Wall Street Journal is reporting Fiat Chrysler Automobiles will open a new plant in Detroit. While the report is light on specifics, it claims the facility will build a new SUV. A separate report from The Detroit News is more detailed and it claims FCA will convert its former Mack Avenue Engine plant into a new vehicle manufacturing facility. The plant has been idled since 2012 and will reportedly be retooled to begin production of the all-new Jeep Grand Cherokee. Sources told the paper the new Grand Cherokee will arrive in time for the 2021 model year and offer three rows of seating. Jeep hasn’t said much about the vehicle, but FCA’s latest five-year plan revealed the next-generation Grand Cherokee will have autonomous driving technology and an available plug-in hybrid powertrain. Despite being offered with three rows of seats, the redesigned Grand Cherokee will slot beneath the upcoming Wagoneer and Grand Wagoneer. Both of those models will also offer autonomous driving technology and a plug-in hybrid powertrain. When the new plant comes online, the Jefferson North Assembly Plant – which currently builds the Jeep Grand Cherokee and Dodge Durango – will be retooled. Once that process is complete, the plant will begin building the new Grand Cherokee. An official announcement is expected next week and the report suggests it could lead to the creation of 400 new jobs. 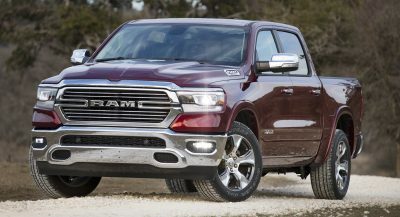 In related news, FCA is expected to begin retooling the Warren Truck Plant next year to support the Jeep Wagoneer and Grand Wagoneer. 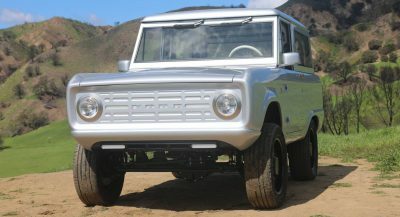 Those models are slated to arrive in 2021. With how old the current gen GC is…I’ll believe a new one is here when I see it on the auto show circuit. You know how FCA does things. The Challenger has been basically the same in the past decade. All of this stuff that should have been here by now is slated for the 2021/2022 model years. SUV/CUVs galore from Jeep. Hopefully, most everyone will be back to sedans (wagons?) by then. Economy may force it. The current GC is already nearly as old as God. But, of course, the Gladiator was FAR more important. Hogwash. The Gladiator was more important without a doubt. The GC is still a very competitive package, and its age doesn’t seem to be hurting sales much if at all. Frankly, I’m concerned about an all new model. 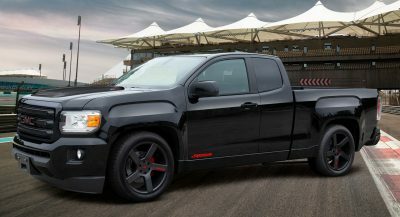 FCA doesn’t have the best reputation for quality with new launches. Introducing the Super Grand Cherokee (slots between the Grand Cherokee & (upcoming RangeRover rival, the) Grand Wagoneer. IDLE SINCE 2012? SOME BUISNESS SENSE. A silly move. The GC doesn’t need to have 3 row seating. They already have a 3 row SUV for China only! Bring it to The rest of the world!! and it will probably still use the old Benz platform. Three row seating in a Grand Cherokee will mean that last row will be suitable for kids only. They need that bigger one over in China to be here for this kind of duty. Bigger one? You mean the fat, underpowered, transverse front-wheel drive Fiat CW car-platform based Jeep Grand Commander? The Chinese-market Jeep Grand Commander is 192 inches long. The Grand Cherokee is 191 inches long. They’re virtually the same size. Ok Ok Ok… I’m going to set this straight for everyone. 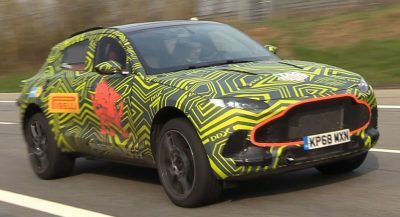 It’s clear that most of the CEO’s or people in charge of making versions of their vehicle for China, have never been there, or been there for a prolonged period of time. While SUV’s are a huge market in China, and a 3rd row is always a plus, it’s no more a ‘plus’ than it would be for buyers in stateside (or anywhere else), if not actually less so . The only “SUV’s” that are big in China are Entry/mid/full-size 2 Row SUV’s. It is actually rare you find/see a “3 Row SUV”. BUT…. Do you know what IS ‘BIG’ in China,.. VANS. Vans are a HUGE market in china, to a degree you would not believe. You can not go anywhere without seeing one (ESPECIALLY one of the 4 (shown below)). Vans are HUGE in china, and you can not look out the window, step onto the street, turn the corner without seeing at least 5 at time ((to put it modestly) as I typically having been there seen more so around 20-30 at a time if not MUCH more). If you take a look at the vehicle China builds for itself, VS what outside automakers make for China, you will notice that China rarely will make 3-row SUV’s. It’s typically 2-ROW SUV’s, VANS, or sedans,.. where outside automakers try to make 3-row SUV’s. 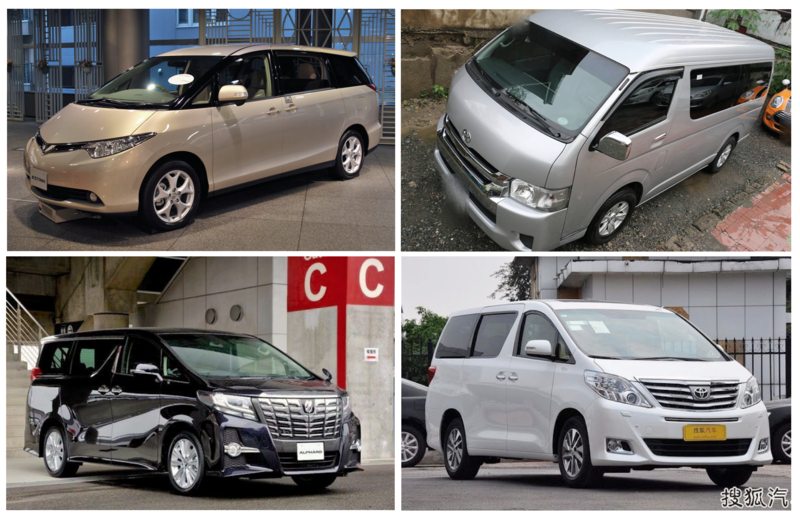 The reason outside automakers do this is simple… most don’t have a Van in the line up, and adding a few extra inches to an existing vehicle is much easier than building a new one from scratch. … So yeah. 3-Row SUV’s are about as popular as they are in the US if not far less so. What’s really BIG in China are Vans. I’m simply tired of hearing about automakers will make 3-row SUV’s for China, when they clearly have not seen or are completely ignoring the real ‘profit-makers’ in the marker there. Btw note that I’m not criticizing you, but rather the automakers. I have a 2017 Jeep Grand Cherokee. Great car, lousy quality. 7 years into production of the current body style, still can’t get basic fit & finish of body panels right. Now heated steering wheel works intermittently. Will be first and only FCA product. They should leave the Grand Cherokee as is, a 5-passenger SUV and either make a long wheelbase version with 7-passenger capacity or differentiate the styling and call it a Grand Wagoneer, or Wagoneer. Based on current sales figures, the Grand Cherokee is still a strong seller even tough it is in year 8 or so of production. The size is about right, just needs to loose about 600 lbs. in weight and improve quality. Wagoneer will be larger and body on frame. 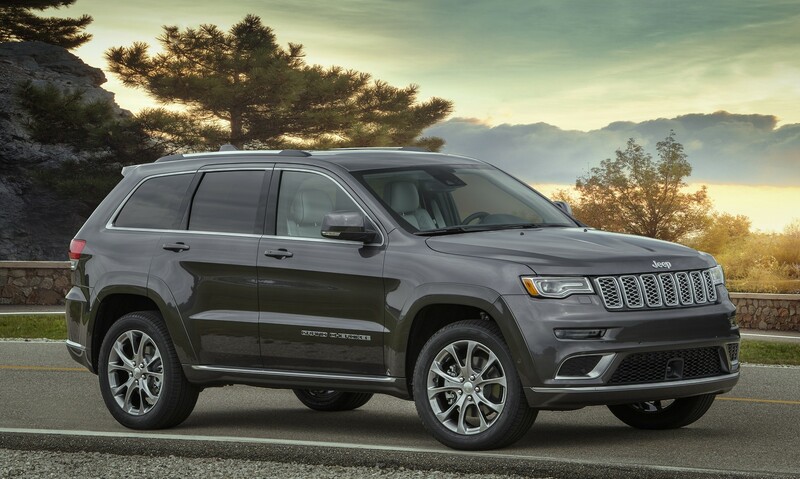 The Grand Cherokee is currently a tweener model that’s quite a bit smaller than a Ford Explorer yet larger than the Jeep Cherokee, which is nearly as big as a Ford Edge and quite a bit larger than the Ford Escape. Some people want a better handling SUV. The GC has been very successful as an unit-body SUV. It was the first American luxury SUV. It came out before the Mercedes-Benz M-Class, which it ended up sharing a platform with later on. Offering a 3-row variant makes sense. The Land Rover Discovery Sport has a third row and is similarly sized to the smaller Cherokee. Jeep could add a third row easily in the current GC, but I suspect they won’t. Because they keep the big American V8 tradition. There isn’t many mid size SUV’s that have V8s. The Challenger looks like an old muscle car, where the Camaro and Mustang are constantly trying to look more modern. The next Grand Cherokee is to use the Alfa Romeo Giorgio platform. Giorgio was never designed to accept a large V-8. The biggest engine it can handle is a V-6. So the Grand Cherokee may be forced to drop the V-8 option. Obviously the Durango (current 3-row GC) will be discontinued. Supposedly Dodge is planning a new SRT Journey midsize CUV to become a AWD sports crossover. They also planned an AWD and turbocharged SRT Dart, so I have my doubts. still Dodge has two three vehicles that are over a decade old. The next generation Charger and coupe variant (maybe ‘Cuda or Challenger) will be based off of the Alfa-Romeo Giulia’s RWD platform. 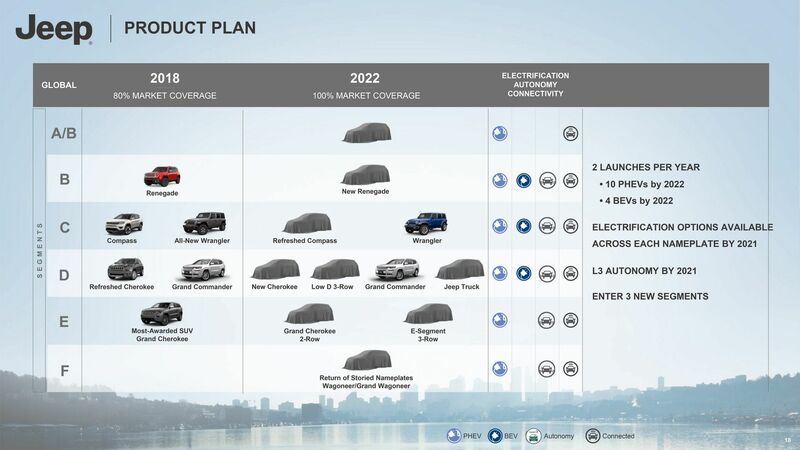 Chrysler has one van in its lineup, which is pretty good actually. Supposedly there’s midsize SUV/full-size crossover coming based off of the Pacifica. Why can’t we just rebadge the Pacifica as a Dodge Grand Caravan and call that upcoming CUV the new Durango. Discontinue the Chrysler brand. So you want FCA to become FDA? I wouldn’t hold my breath for any Giulia based models, before he passed SM stated the next Charger/Challenger will be an evolution of the current platform. Doesn’t look good for Dodge if the Durango and Journey don’t get replaced either. Looks like the Jeep Wagoneer will replace the Durango. 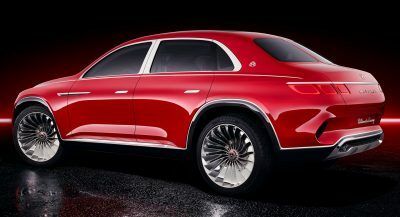 I’ve seen some pics and the back looks like a durango. Next PostNext Can BMW’s S1000RR Hang With A Tuned And A Stock McLaren 720S?